Snakes and Dogs and Taxes | Sit! Stay! Play! Each and every spring I am asked the same two questions by clients: 1. Are my dog’s daycare expenses tax deductible? and 2. Should I take my dog to snake avoidance training? It’s hard to believe, but in this case the question pertaining to the federal tax code is the easiest to answer. I feel pretty comfortable in saying that for most of us the answer to question one is NO! If your dog is integral to your work, your accountant may be able to make a case for deducting Fido’s expenses, but unfortunately the government doesn’t recognize our dogs as furry dependents. Question two is more difficult to answer because there just isn’t any data published on snake bites and dogs. Anecdotal stories abound, but we don’t even know the number of dogs bitten each year or how many bites result in envenomation or death. Snake avoidance or aversion training has been offered for at least 35 years and while many trainers claim 100% success to my knowledge there is no published data pertaining to the efficacy of any method of snake avoidance or aversion training nor have I found any trainer providing snake avoidance services who tracks dogs that have participated in their training programs. And while we know a lot about the mechanism by which dogs detect scent and the ability of dogs to detect certain scents at known dilutions and concentrations, there is no research studying the ability of dogs to differentiate between snake species, subspecies, dilute snake scent, and venomoid snakes. Most of you know I have a particular point of view regarding the training of dogs and that view doesn’t generally embrace the use of punishment, particularly physical punishment. I adhere to a training philosophy that is known as the Humane Hierarchy. This basically means I have a commitment to using the least intrusive effective means of achieving a behavior goal. You can find a good explanation of the Humane Hierarchy at http://eileenanddogs.com/2013/05/21/the-humane-hierarchy-1/ . With that in mind you might be surprised to learn that snake aversion/avoidance training is not a cut and dry issue for me. Why? Because, in Arizona we have an abundance of venomous snakes in residential areas and the consequences of a venomous snake bite are grave and often deadly for our dogs. Perhaps a question more salient than “Should I take my dog to snake avoidance training” is “How do I best protect my dog from a serious and potentially life threatening snake bite injury”? In our area a lot of emphasis is placed on traditional snake avoidance/aversion training. I am going to walk you through that training, but keep in mind that snake avoidance training may not be the best choice for you or your dog. We will also look at some of the other options to keep in mind for the protection of your pets. The personality, temperament, and health of your individual dog, the environment in which you live, and your family’s lifestyle are all considerations in assessing the risks and benefits of the available training and management options. So, let’s talk about snake avoidance/aversion training and some of the other choices you have as your pet’s caregiver. Traditionally, snake avoidance/aversion training is performed with the use of live snakes and electric shock collars. The goal of this training is to develop a negative association for the dog with the snake. Within the community of trainers using shock collars for snake aversion/avoidance training there are significant differences in protocols and ethics, but here is a synopsis of the basic scenario used by most trainers. First, the dog is exposed to a common indigenous venomous snake that has been defanged, muzzled, or had its venomous glands surgically removed. Around Tucson that is usually a Western Diamondback. The snake is placed in an open area where the dog is able to see, smell, and hear the snake. A trainer, or sometimes the owner, handles the dog on a leash in the vicinity of the snake. Movement towards, or interest in the snake by the dog, results in the dog receiving a shock also referred to as an electronic stimulation. The level of the shock varies from trainer to trainer and from dog to dog. Some trainers try to use the lowest level of shock that results in the desired behavior of the dog backing away from the snake or cessation of forward movement toward the snake. Other trainers believe that the initial shock should be extremely aversive. Some trainers do not emit a shock at all if the dog displays avoidance or a natural aversion to the snake. 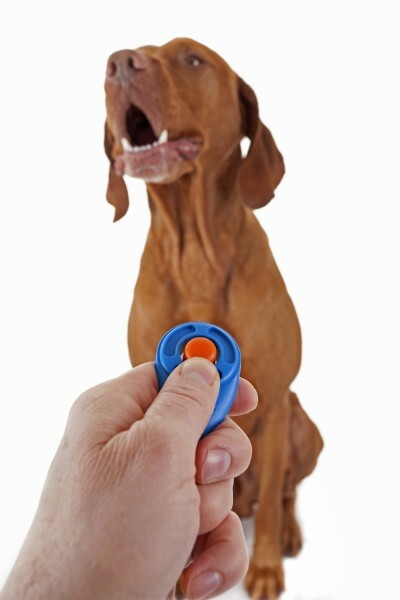 Most dogs respond to the low level of stimulation, but here is a warning, some dogs do not. I have seen dogs repeatedly charge the snake and repeatedly get shocked at higher and higher levels of stimulation. So already we have a couple of caveats. There are studies suggesting that dogs receiving electric shocks associate the punishment with the handler. This, coupled with the fact that you will probably be concerned about your dog and about the snake, lead me to suggest that you not handle your own dog. The second issue is the level of stimulation the dog receives. The point of punishment is to reduce the future occurrence of a behavior. Punishers only work if they are aversive enough to cause the animal to believe that repeating the behavior is a really bad idea. It takes a savvy and experienced trainer to understand the level of aversive stimulation that will achieve that goal for the individual dog. My Chihuahua is a perfect example. I live on an acre of really great desert habitat on the east side of town. There is a fairly low density of housing and a wildlife corridor that stretches along the back of the property. My back yard is enclosed with permeable no-climb horse fencing. I chose to take Lulu to snake avoidance training after months of hand wringing because Lulu is one fearless Chihuahua. Charging snakes, catching rats and lizards, and bringing tarantulas into the living room are all a part of her repertoire. I have seen Gila Monsters, Gopher Snakes, King Snakes, Racers, Long-nosed snakes (in the photo), and Western Diamondbacks in my yard and so has she. 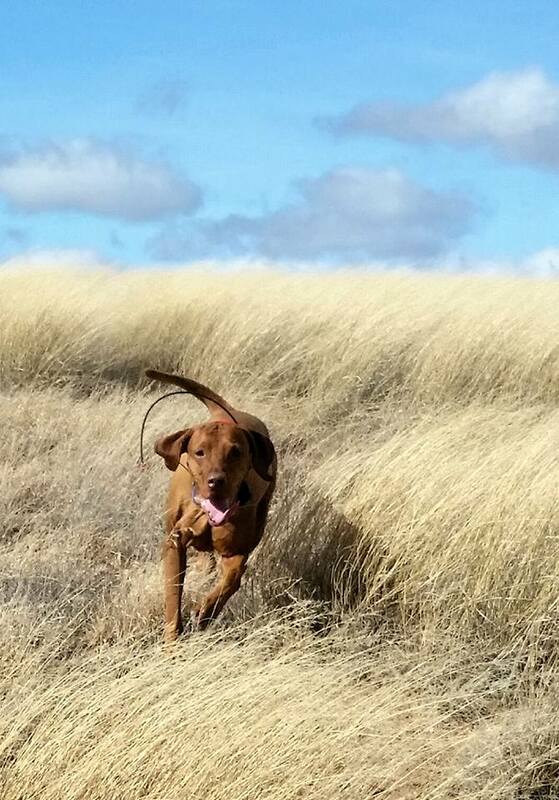 My vizslas, Rumer and Turk, were poster children for the snake avoidance response trainers hope to see. Lulu…not so much. When training animals whether using reinforcement or punishment, we rely on setting up a controlled environment that gives the animal the most optimal opportunity for making the association between the reinforcement or punishment and the stimulus. What we can’t control is the animal’s response. All eleven pounds of Lulu approached the snake confidently. Her weight was forward, her nostrils flared, her mouth slightly opened as she pulled toward the snake. Jay Smith, a very skilled trainer, shocked her at a low setting. The result was one very angry Chihuahua. Lulu understood perfectly well that the snake was responsible for that irritation and now she was even more determined to take that snake down. Jay emitted a shock at a higher level resulting in an even angrier little dog. I was in tears. My dog had undergone a very unpleasant experience that both Jay and I knew may well have resulted in increasing her drive to interact with snakes. By interact, I mean wanting to kill snakes. But, we will get back to Lulu in a bit. The second part of traditional snake avoidance training involves wrapping the snake’s rattles and restricting the dog’s visual access to the snake by hiding the snake in cover. The purpose of this step is for the dog to develop an aversion to the snake based on scent alone. 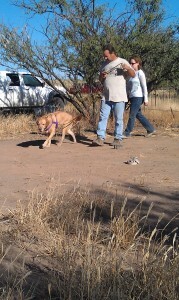 After resting from the first step of the avoidance training, the dog is walked toward the scent cone of the snake. This just means the trainer, with consideration for the size of the dog, places the dog in a position downwind of the snake so the dog can pick-up the scent of the snake. At this point many dogs smell the snake and refuse to move forward. They dig in their heels and can’t be compelled to move toward the snake. Most trainers will not shock a dog that convincingly refuses to move forward. But then there are dogs like Lulu. Lulu caught the scent of the snake and dragged Jay toward the snake. She received another correction further confirming her conviction that snakes needed to be dispatched. At this point a dog might receive a correction at a higher level. Jay and I decided that enough was enough for Lulu. Well, maybe not for Lulu, for me. Lulu seemed unfazed. Rumer, my Vizsla, who received one very low level stimulation/shock displayed signs of mild stress, but Lulu’s body language and behavior suggested a very low to no stress level (and yes, I do know that there was a possibility of undetected fallout) despite receiving a higher level of stimulation. So as many variables as there might be in the first part of the training there are even more variables and caveats in the second part. The sense of smell in dogs is an amazing thing. Dogs have sniffers that are anatomically different than ours. They can do things with their noses that are simply an impossibility for us. We are making a lot of assumptions when executing this part of the avoidance training. Do we know that the dog is identifying the scent? Is the dog going to make an association only with that snake in that environment? Is the dog going to develop and association with the aversive and the bush concealing the snake? There are a zillion more variables and a lot of room for things to go wrong at this point in the protocol, so once again, if you are considering this training for your dog make darn certain the trainer you choose is knowledgeable about dogs, about learning theory, about rattlesnakes, and about their life history. Proofing usually follows the first two steps. A snake with rattles exposed is placed in a natural setting usually in light cover and the dog is walked nearby. The trainer watches the dog’s response and determines if the dog has made the desired negative association with the snake. If the dog says no way dude, great. If not, the trainer decides if they should rinse, lather, and repeat the process. 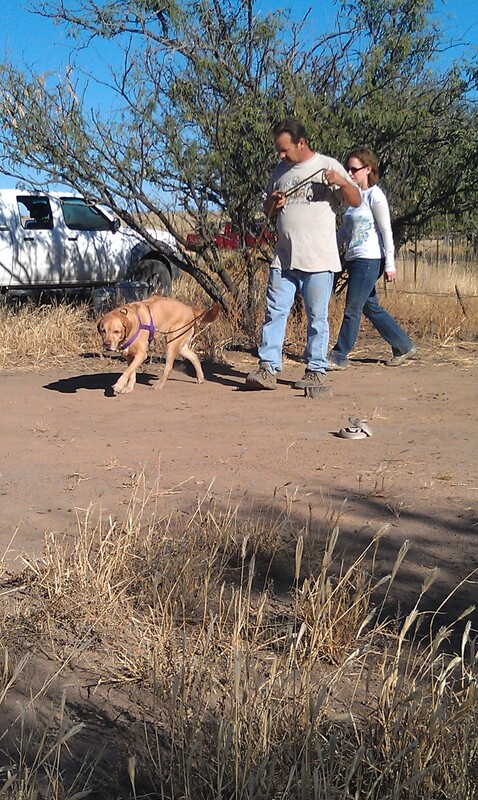 Most traditional snake avoidance/aversion trainers recommend retesting the dog in a few months and again each year. So a few months later back we went. This time in a different location. We pulled up to Jay’s setup and Rumer got out of her crate, stood on the back of the van, and stretched. I watched as her nose caught the scent of the snake located at least 100 feet away. She jumped right back into her crate and nothing was going to convince her to come out. Textbook. So how did Lulu respond to retesting in a new location? Exactly the same way she did the first time around. I was devastated. 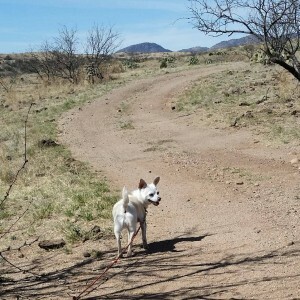 Of all my dogs Lulu was at most risk for being bitten and killed by a rattlesnake. We lead an active outdoor lifestyle and we share our yard with snakes and other critters. Last spring, one evening around dusk, all three dogs were alarm barking in the yard. After shooing the dogs into the house I walked down toward the fence line and there it was. A large Western Diamondback in ambush position. Quail and small critters often run along the fence line and he was probably waiting for dinner. Rumer was most convincing in her retreat, but Lulu made the right decision and I knew then and there considering the options available, for me and my dogs, I had made the right decision, too. For years I worked on designing less aversive protocols than those used in traditional snake avoidance training. I was fortunate enough to have a couple of conversations with the great Bob Bailey regarding my goals. I knew it could be accomplished, but after speaking with Bob, I decided that a reliable protocol based on non-aversive methods would be impractical for most pet owners and the consequences of failure were ethically unacceptable for me. There are a few trainers who have designed programs to address snake avoidance in a less aversive way. One method that is popularly promoted isn’t really avoidance training at all. The program essentially relies on installing excellent impulse control and a great recall. These skills are useful for all dogs and are a part of our regular training program at Sit! Stay! Play!, but they are not avoidance strategies. These protocols require the owner to be present to call the dog away from danger. Some of these programs are promoted as a snake avoidance classes, but rely only on the use of fake snakes, impulse control, and recall games. While all of these skills are essential, I do not recommend this program as a stand-alone substitute for snake avoidance training. Penny DiLoreta, a trainer in California, has developed a proprietary positive reinforcement program using pneumatic snakes, manikin snakes, snake sounds, and dead snakes to teach snake avoidance. A prominent feature of her program is educating owners about snakes and their habits. Pamela Johnson, another trainer in California, teaches a webinar that focuses on training the dog to come to you when the dog encounters a snake. She also uses remote controlled manikin snakes. As a trainer committed to least invasive minimally aversive training, these new protocols are very appealing, however, as a biologist and a student of behavior, I have a number of questions regarding their design and efficacy. I will leave that discussion for another newsletter, but one very big concern I have with these protocols is the assumption that residual odor and the odor of dead snakes replicates the odor of live snakes in the wild and of course, as with traditional snake avoidance/aversion training, the lack of published data. Because of the proprietary nature of these programs detailed information was either not available or not shared by the trainers. So what is a dog owner concerned about the safety and well-being of their dog to do? The first thing you should know is there is absolutely no research to verify the efficacy of snake avoidance training using any method. All evidence is empirical and anecdotal. Granted, traditional avoidance training has been used for many years, but to my knowledge there are no published studies or follow up data to support or discount the training. A number of academic studies have been performed on predator training and post release survival in wild animals and the effects of punishment and avoidance training in other species, but I have been unable to find any academic studies on the ability of dogs to recognize snake scent generally or any studies on the efficacy of any snake avoidance protocols. All of the training methods rely on the dog perceiving the snake. That means that the dog must see, hear, or smell the snake. It’s more complicated than it seems. We know that dogs have an acute sense of smell and are often referred to as Olympic sniffers. Their olfactory mechanism is very different than ours. A nice explanation of how dogs smell is at http://www.pbs.org/wgbh/nova/nature/dogs-sense-of-smell.html . Those of us who hunt, track, or participate in some kind activity involving nose work, at some point say, he HAS to know the scent is there – he is right on top of it! And THAT is what is so complicated. A dog can practically be on top of a snake, a bird, a rat, or a tin filled with clove and not hit on the scent. Yet under different circumstances the same dog might be able to detect a body under fifty feet of water. Two Golden Retrievers owned by Sit! Stay! Play! client, Dr. Carol Galper, were bitten by a young rattlesnake in their yard. The snake, a Western Diamondback, had not yet developed rattles so the dogs did not hear the snake. Both dogs had undergone snake avoidance training and when retested, both dogs avoided the snake. Yet both dogs were bitten. So if the dog doesn’t see the snake or hear the snake we are hoping the dog smells the snake. Hope is never a good training strategy. I have to wonder if snakes under stress, defanged snakes, venomoid snakes, or juvenile snakes smell the same to a dog as an adult snake in the wild…hopefully, this is something Bryan and I will be able to address in the not too distant future. I can’t…I won’t make a decision for you on whether or not you should take your dog to snake avoidance training, but here are some things to consider in making an informed decision for you and your dog. Your lifestyle. If you live in midtown Tucson and rarely hike with your dog or have minimum exposure to venomous snakes then you probably don’t need to consider snake avoidance/aversion training. If you never take your dog off leash then you probably don’t need to worry about interaction with venomous snakes. If you live outside of town, frequently hike or take walks outside of town or in washes then your dog might be a candidate for snake training. But even then, you have other choices. Are you willing to change your lifestyle to minimize your dog’s contact with snakes? 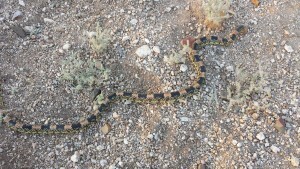 This might mean limiting hiking and hunt training to months when snakes are not active, walking, hiking and training during the times of day when snakes are less likely to be encountered, keeping your dogs on a shorter lead, or hiring a company to reduce the likelihood of snake exposure in your yard. Your dog. Because we are limited to traditional snake avoidance training in our area, you need to think about whether or not your dog has the “bounce back” to overcome the stress of an aversive experience. If your dog is shy, aggressive, gets upset after a challenging experience then your dog is not a candidate for an aversive training experience. And make no mistake, traditional snake avoidance training is aversive. But, even with very confident dogs there is a possibility of fallout. This is why it is important to employ the services of a thoughtful, educated, experienced, professional trainer and not your buddy who owns a shock collar. The situation. 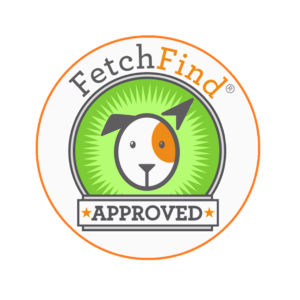 Remember, we do not determine what the dog finds aversive or reinforcing…the dog makes that decision. We also cannot dictate the associations made by the dog. Really great trainers consider as many contingencies as possible when setting up a training situation, but understand that it is completely possible for a dog to make a negative association between the aversive stimulus and the environment, the collar, or the shrub in which the snake is placed. You get the idea! The dog makes the decision, we don’t. Dog trainers often refer to something called one trial learning. This means that learning takes place by a single pairing of a response and stimulus and is not strengthened over repeated exposure to the stimulus. So, if your dog is sensitive and has poor bounce back, a single traumatic or aversive experience can generalize to other similar experiences. For instance, if the dog is traumatized by the snake avoidance training, the dog may generalize that to any experience in the environment in which the trauma occurred. So if you are considering having snake avoidance performed in a home setting, understand your dog may make the association between the aversive stimulus and your backyard. On the other hand, if you have snakes in your yard that may be the best place to perform the training. 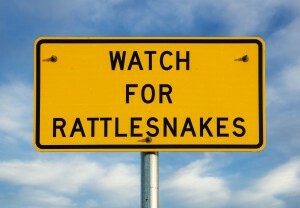 A good experienced snake avoidance trainer should be able to help you with these decisions. The ethics. Like them or not, snakes are living creatures. They deserve respect and consideration. Some snake avoidance trainers keep their snakes as “pets”. Some trainers keep captive snakes and later release the snake. Some trainers defang the snakes, some trainers muzzle the snakes, and others have the snake’s venomous glands or ducts surgically removed. Don’t even consider using a trainer that duct tapes the snake’s mouth. Herpetologist, Bryan D. Hughes, of Rattlesnake Solutions, LLC in Phoenix, explained to me that a standard of humane treatment is being developed for snakes used in avoidance training. He emphasized the importance of trainers having several snakes that are rotated out, kept in humane conditions, and never released back into the natural environment – for the sake of the snake and the health of the wild population. John Potash, a reptile specialist and owner of Get Rattled, has four venomoid snakes that are 20 years old and retired from working in avoidance training. They are used as educational ambassadors to further the public’s knowledge of venomous snakes. Then, of course, you have to consider the ethics of how you choose to train your dog. Some dog owners completely reject the use of punishment (that is a topic for another post!) while others will consider aversive options based on the circumstances. Again, this should be a thoughtfully made, informed decision. Refer to point #2. Future training. This is tech speak for trainers…sorry. If you primarily use positive reinforcement training you need to decide if your reward bank is rich enough to make a withdrawal or if the aversive experience will bankrupt the relationship you have built with your dog. If you plan to use electronic collars in future training the stimulation will most likely be used as negative reinforcement. Using the electronic collar as punishment may be aversive enough to squash that possibility. Remember one trial learning in point #3? Most importantly, DO NOT RELY ON SNAKE AVOIDANCE TRAINING TO KEEP YOUR DOG SAFE. Prevention and management is most important for your safety and the safety of your dogs. Bryan Hughes offered a few tips to pass along. His website, www.rattlesnakesolutions.com , is a wonderful resource for all things reptile. If you see a snake, leave it alone and call a professional. Your yard can be a good habitat for snakes or a poor one. Don’t invite snakes by providing food, water, and shelter. Bird feeders and quail blocks attract birds which attract snakes! Wood piles and underbrush provide habitat for rodents, another great food source. Don’t leave dog food outside. Swimming pools and fountains are good sources of water. Yes, that’s another snake in my yard. Bryan indicated that walls 2-3 feet high will provide enough of a deterrent to keep most snakes out of yards. Snakes aren’t great climbers and he said it is more a question of “will” the snake climb rather than “can” the snake climb. To be on the safe side he suggests giving the walls a little breathing room from surrounding vegetation. Consider covering weep holes and other access areas with hardware cloth. 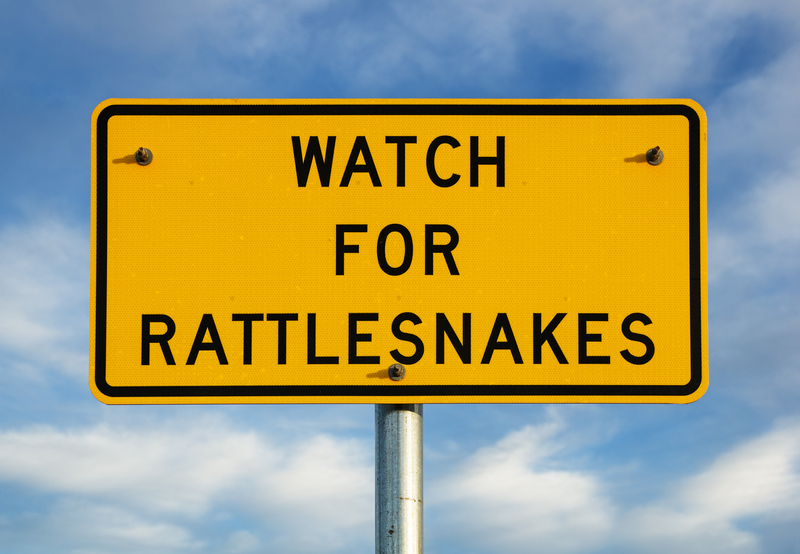 Bryan’s company can help you make your yard a less hospitable environment for rattlesnakes. Do not remove non-venomous species of snakes. Avoid walking your dog in washes (you might consider not taking a run in washes either…just saying). 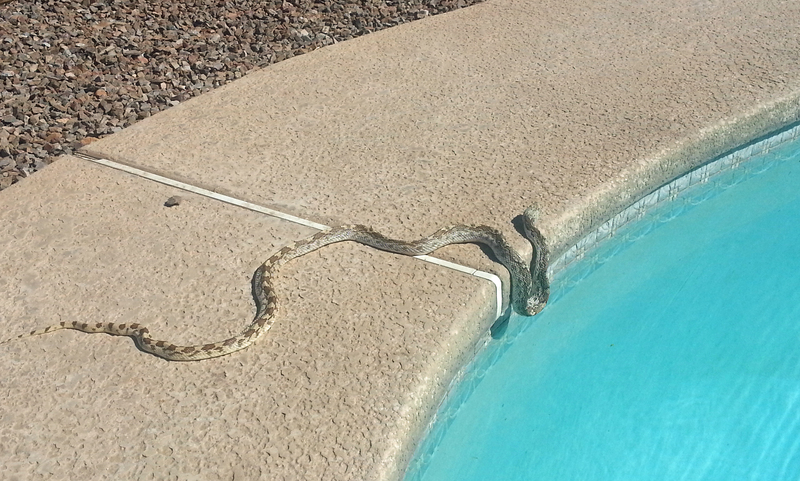 Washes provide a perfect habitat for snakes. Snakes have a temperature preference. In the summer months snakes are most active in the morning until about 11 am and then after about 4 pm. I run my dogs in the heat of the day during the summer. It isn’t optimal for my comfort or my dog’s comfort, but it is the best time for avoiding encounters with snakes. Dogs do not have sweat glands on their bodies. They regulate temperature by panting, dilating or expanding blood vessels in their face and ears, and by sweating around their foot pads. If it is too hot for you to walk barefooted then it is too hot for your dog as well. My favorite dog boots are made by Ruff Wear™. Locally, they can be purchased at Summit Hut, but check out http://www.ruffwear.com/Products/dog_boots to find instructions for properly fitting your pooch and online purchasing options. Snakes are often found in ambush positions along the edges of walls and under overhangs. So watch out! The most dangerous snake is the one you don’t see. Bryan says seeing a snake is the best prevention. He also cautions us all to not attempt to dispatch snakes. I feel a stupid saying it, but please don’t try to catch a snake. I promise to visit you in the hospital, but I will tell everyone the dumb thing you did to get there. And I won’t bring flowers. If your dog is bitten by a snake call your vet immediately. If it can be done safely, identify the snake and take a photo. 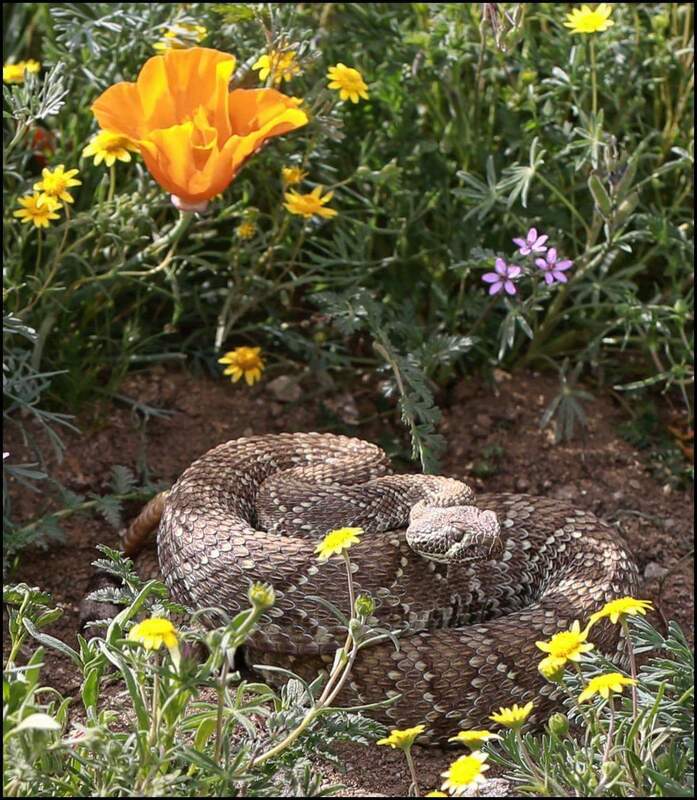 Antivenin is not available for Mohave Rattlesnakes (the venom is hemotoxic and neurotoxic so antivenin is sometimes administered) and proper identification will greatly assist the vet in determining the best treatment options for your dog. Because of the extraordinarily high cost (about $600 per vial) and short shelf life, most vets do not keep antivenin in stock, so you will probably need to take your dog to one of the local emergency vets. Keep your dog calm and still. If you are out hiking, carrying your dog to the car is optimal. Snake venom can affect the function of the body’s organs including the liver, kidneys, and even the heart. At the veterinary clinic the dog will be assessed and a blood sample will be taken to evaluate organ function, evaluate blood cells, and determine coagulation times Remember, not all bites result in envenomation. If it is determined that the dog has been envenomed antivenin is usually administered to neutralize effects of the venom. Intravenous fluids are critical to the successful treatment of snake bites. Opioid drugs are often given with fluids to manage pain. Treatment is very expensive so save your pennies or consider getting pet insurance. Even if the onset of symptoms is delayed veterinary treatment is critical in the prevention of irreversible organ damage. The veterinary clinic may offer alternative treatment options, especially if more than four hours have passed since the dog was bitten. 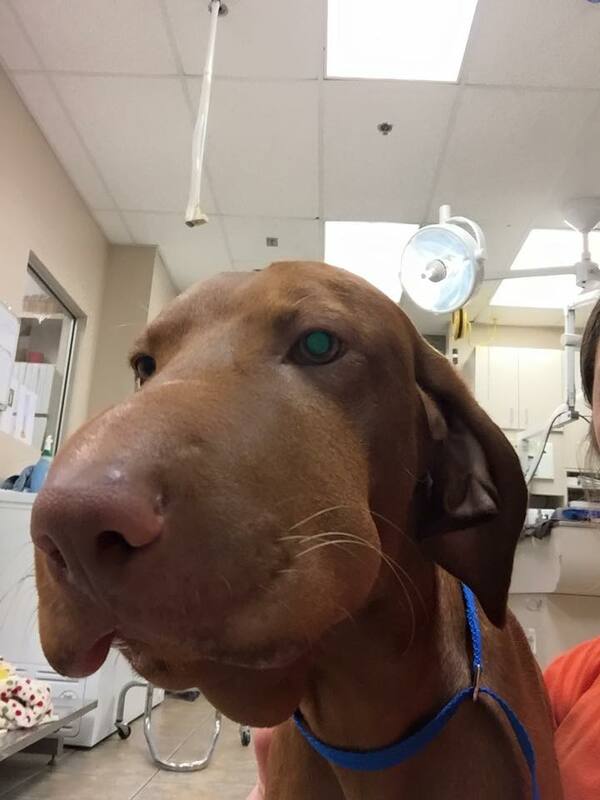 Luke, a one year old Vizsla, was participating in a hunt test at the Robbins Butte Wildlife Area, in Buckeye, Arizona in March of 2015 when he was bitten on the nose by a Sidewinder Rattlesnake. Luke was immediately transported to an emergency clinic where he received two vials of antivenin and supportive care including antibiotic administration, intravenous fluids, and pain management. Two days and $4000 later he was on the road to recovery. The seriousness of a snake bite depends on many factors including the size of the dog, the species of snake, and the location of the bite. Luke was lucky. Facial bites are the most common and serious bites often resulting in swelling that impairs breathing. You may have heard that the bites of baby or juvenile snakes are more dangerous than those of adult snakes. The University of Arizona Health Center says not and so does Bryan Hughes: http://www.rattlesnakesolutions.com/snake-information/FAQ.php. A good reference on snake bites can be found at http://www.vscot.com/pdfs/DesertDangers.pdf towards the end of the article. Some vets recommend what is commonly known as the rattlesnake vaccine. 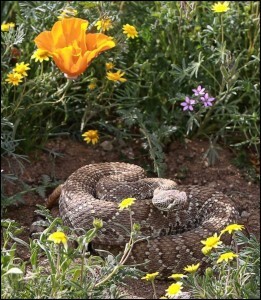 The product, made by Red Rocks Biologics, is intended to delay and reduce the symptoms of the bite from Western Diamondback Rattlesnakes and possibly other species of pit vipers NOT including the Mohave Rattlesnake, Eastern Diamondback Rattlesnake, cottonmouths, or coral snakes. This vaccine is not intended to replace treatment for snake bites. There is very little data on the effectiveness of the product and it is not without risk. My dog, Turk, had a significant injection site reaction the second year it was given to him. I have opted not to vaccinate my dogs with the product this year. I encourage keeping the numbers of all the emergency clinics on your phone. Sit! Stay! Play! has emergency contact cards available in the lobby. Please call Sit! Stay! Play! to join one of our obedience classes or the Really Reliable Recall Class. Every dog should have basic training including listening skills in distracting environments, good impulse control, and great recalls. There is more to come. 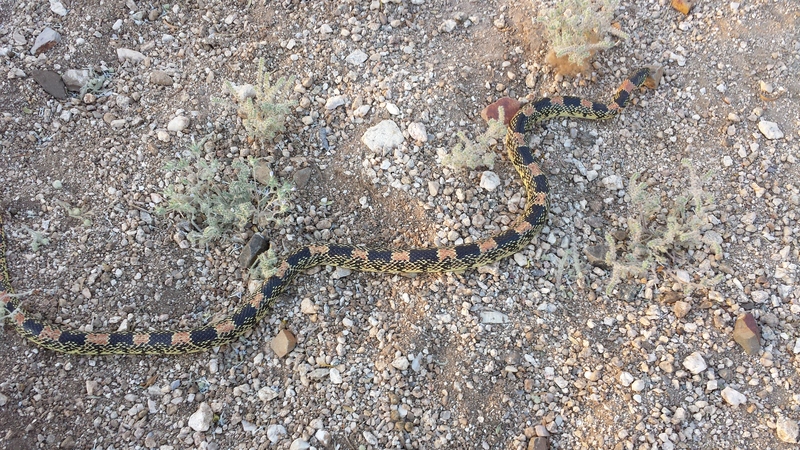 Next time we will take a look at the different snakes and other wildlife you might encounter in southern Arizona. And then we will have a chat about how dogs smell….ummmmm.